The proposed changes would restrict the acting leader’s rights as their actions would need to be approved by the National Executive Committee (NEC). This would put the NEC in charge of the Labour Party rather than the acting leader. 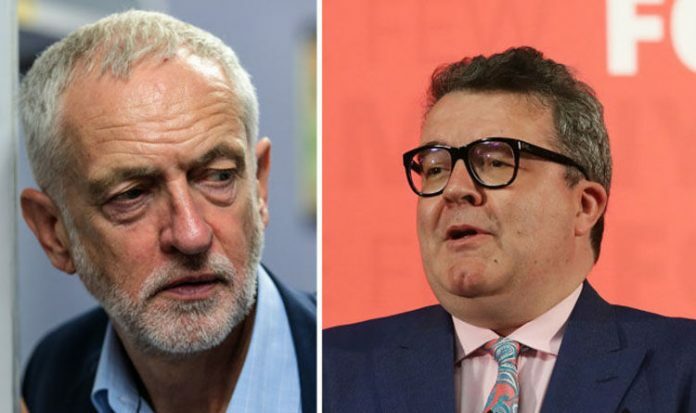 The crackdown, revealed by Huffington Post, has been brought in as if Mr Corbyn were to resign, Mr Watson would become the acting leader until another leader was elected. The new contingency plans have sparked speculation that the Labour Party think that Mr Corbyn could be on the edge of resigning. The move was described by one senior figure as “an unenforceable act of paranoid Bolshevism”. Mr Corbyn and Mr Watson have at times clashed in their running of the party. They had a dispute ahead of the Labour Party’s conference in Liverpool after Mr Watson was denied a top speaking slot. The deputy leader was prevented from a high-profile conference speaking opportunity and was instead given an evening slot, which tend to have a lower attendance. Mr Watson has been critical of Labour’s handling of its ongoing anti-Semitism crisis. He has even suggested that the party’s general secretary should resign if the anti-semitism problem is not resolved. In August, Mr Watson said the party will “disappear into a vortex of eternal shames and embarrassment” unless it demands a stop to anti-Semitism. And last week he told ITV’S GMB: “We should have dealt with it earlier. “We have hired a new general secretary who has staked her career on dealing with anti-Semitism in our party.